The NEC protocol uses pulse distance encoding of the bits. Each pulse is a 560µs long 38kHz carrier burst (about 21 cycles). A logical “1” takes 2.25ms to transmit, while a logical “0” is only half of that, being 1.125ms. The recommended carrier duty-cycle is 1/4 or 1/3. The picture above shows a typical pulse train of the NEC protocol. With this protocol the LSB is transmitted first. 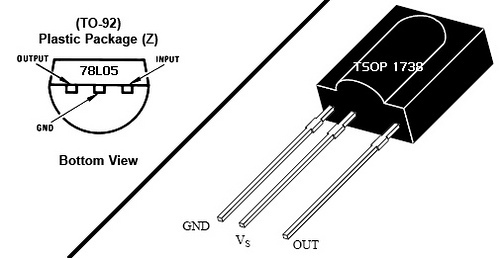 TSOP1738 is an IR receiver which is widely used in so many electronic products for receiving and demodulating the infrared signals. 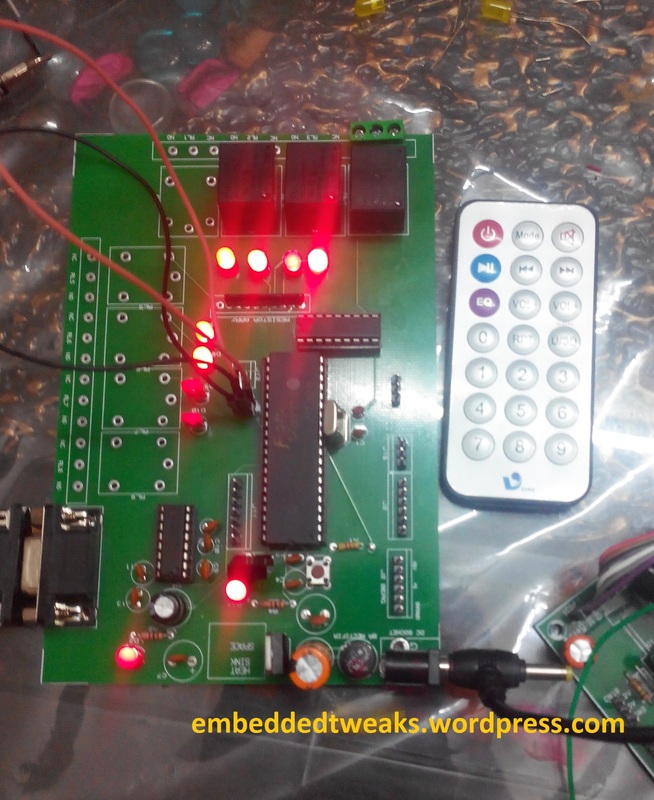 The received demodulated signals can be easily decoded by a microcontroller. 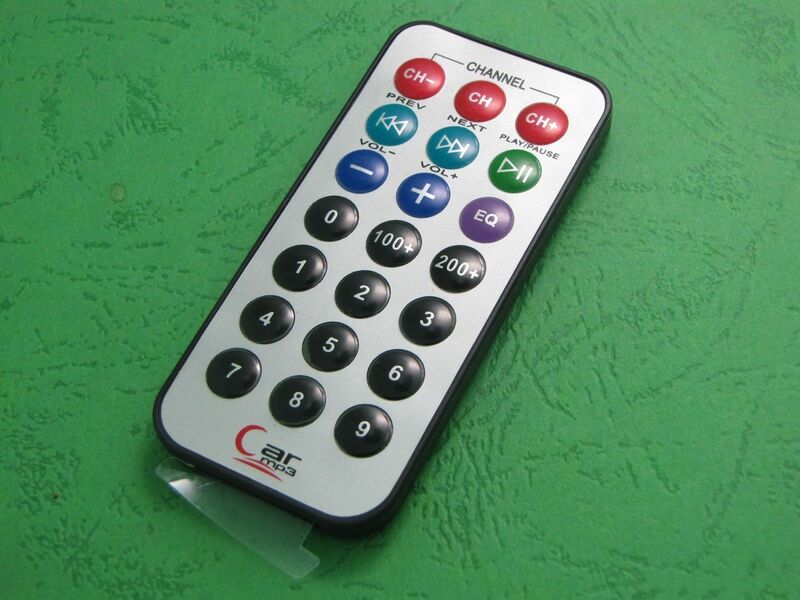 It supports RC5, RC6 code, Sony format (SIRCS), NEC code, Sharp code. I couldn’t work out with this can you provide the complete main file.